I’m really unsure of the veracity of this. Much discussion going on & hard to know the real truth on it without actually being there. Please update us if you hear more. 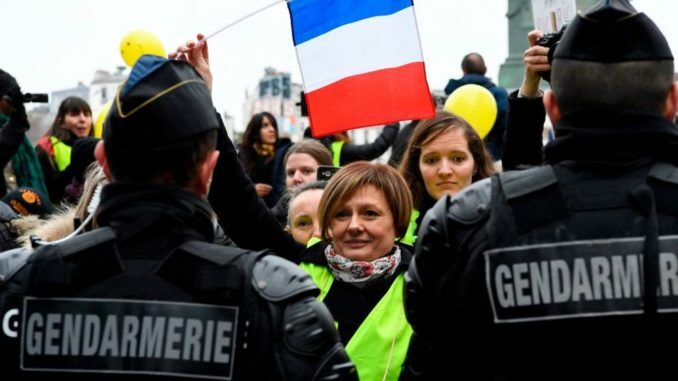 A senior French politician has called on police to use “shoot-to-kill” tactics against thousands of anti-globalist protestors in France. Dailymail.co.uk reports: Police were attacked in major cities including Paris last Saturday on an ‘Act VIII’ Day of Rage by the Yellow Vests. Aren’t all cops trained to kill? All targets are patterned for kill shots. It is sad that any “killing” (of this type) by the police, will only intensify the protesting which may (probably) then turn to rioting.